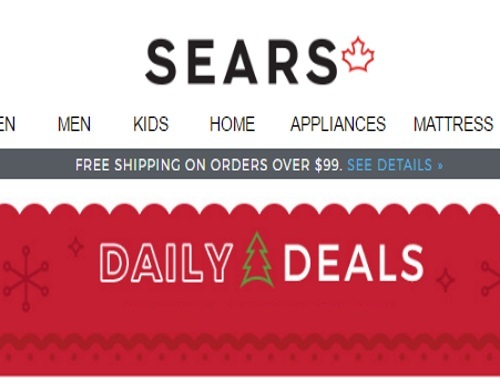 Sears has daily deals on now everyday until Christmas! There is a new one-day exclusive deal everyday. Each deal is only valid for 24 hours, so grab it quickly if you like it!